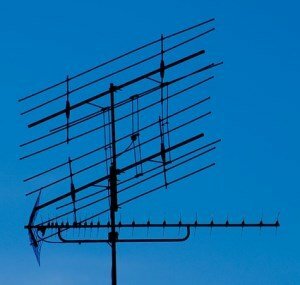 Antennas are important for your TV because they help determine how good your televisions reception and image quality is. Alongside the right antenna for your TV, using the right TV antenna installation service is important to ensure that you get the best quality image for your TV. Adelaide Telefix has been installing television antennas for years, and our technicians know how to get the best quality signal for your TV. Whether you require a new antenna, or whether you require an upgrade to your old or existing antenna, Adelaide Telefix can help. Upgrading an existing antenna can be useful as it can enable you to get a higher quality signal. If you need a new antenna installed, our expert technicians can install it to ensure that your TV signal is the highest quality. When choosing a TV antenna, it is important to choose the right antenna for your situation. There are multiple types of antennas that can be used, and Adelaide Telefix will identify and choose the best antenna for you, to ensure that your TV quality and signal is the best it can be. A uni-directional antenna is an antenna that receives a signal from one direction. These antennas can be powerful because they focus their pull into one location, but they may encounter obstacles along the way that make the signal weaker. A multi-directional antenna can get signals from multiple directions, instead of only one. This allows for a higher possibility of receiving a signal at all times, but it may encounter obstacles in the surrounding areas which can sometimes deliver a slightly weaker signal. Although these are just some of the choices that go into choosing the right outdoor antenna, our expert technicians will be able to determine the best antenna for your needs and ensure that it works in the most optimal way. Placing the antenna is an important step, as this can determine how much interference your TV signal and picture will face. 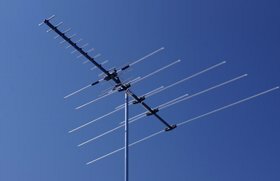 The taller a TV antenna is, the more likely the signal is to be a crisper and higher quality, without as much interference from the surroundings. Installation of the antenna is important due to interference around the installation area - if the installation area is close to obstacles such as buildings, these can interfere with the TV signal and need to be worked around so that the signal is as clear as possible. It is also important to face the antenna in a direction that avoids interference, to ensure the signal is even better for your TV. Adelaide Telefix will determine the best way to place, face, and install your antenna to ensure that you have the best signal and highest quality image on your television. A TV antenna can be subject to a lot of interference, so the installation of a TV antenna should take this into account and ensure that the TV antenna is of the highest quality, and placed in the best position possible. Contact Adelaide Telefix and our team of quality technicians will make sure that your television antenna will give you a crisp picture and a high quality signal for your TV. If your TV antenna is giving you reception problems, it may also need to be fixed. Adelaide Telefix can also fix TV antennas that are not functioning as they should. Our expert TV antenna fixers and installers will help ensure that you have the best TV antenna possible for your TV. Contact Adelaide Telefix today for professional TV antenna installation.